When planning for your future, it is a good idea to seek counsel with a lawyer that is familiar with estate law. They can help you take care of your assets and make sure that everyone in your family is taken care of in the way you see fit. 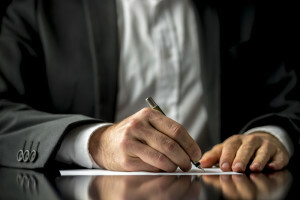 Drawing up a will, handling beneficiary disputes, and dealing with taxes that go along with an estate claim are just a few ways that an estate lawyer can help you when you need it. Having an airtight will is a good way to minimize drama like beneficiary disputes, but that doesn’t mean it still won’t happen from time to time. If you feel like you’ve been wronged in the settling of an estate, get in contact with an estate lawyer that can handle these kinds of disputes. You may be able to set up an arbitration hearing in order to recoup what you think is rightfully yours. Concerning your own estate, it is not a bad idea to discuss your own plan with your beneficiaries ahead of time. This proactive measure can help minimize the disputes after you’ve gone. As you start the ground work for a family, you’ll want to make sure that you set your loved ones up in case of the worst-case scenario. This includes getting a proper life insurance plan and working on drawing up a will. You may not be thinking about it at any given moment, but it really is an important step to be a responsible parent and spouse. The best course of action is to talk with a lawyer that specializes in estate law, especially the laws of the state you live in; each state has its own laws concerning wills and estates, so you’ll want to be sure you familiarize yourself with specifics of where you live. There’s no telling how different California estate law is different from other places across the country, so don’t go in alone. One of the trickier minefields that go hand-in-hand with dealing with estates is how taxes come into play. If not done properly, filing taxes that go along with your estate claims can cause unwanted headaches and the dreaded audit by the IRS. An estate lawyer can help you file the proper paperwork for your taxes and this measure, as well as filing your taxes with a reputable accountant, can assure a pain-free tax season. It’s always better to get someone familiar with law on your side when you aren’t sure of how to proceed. Estate lawyers can do just that when dealing with estate law.